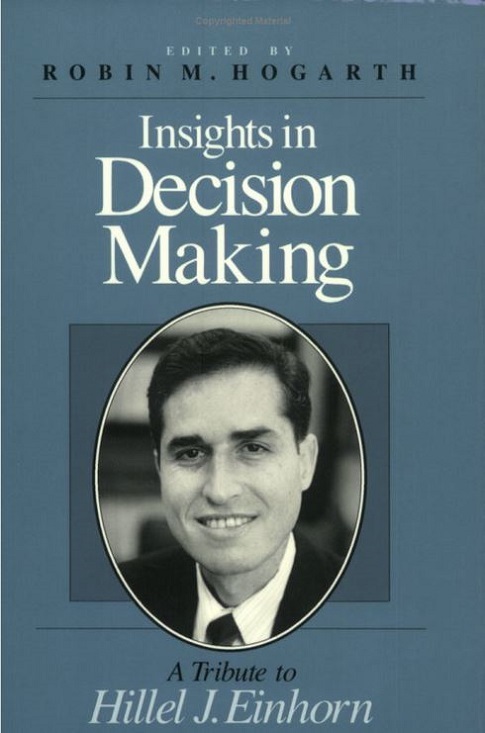 The Society for Judgment and Decision Making is inviting submissions for the Hillel Einhorn New Investigator Award. The purpose of this award is to encourage outstanding work by new researchers. Individuals are eligible if they have not yet completed their Ph.D. or if they have completed their Ph.D. within the last five years (on or after July 1, 2012). To be considered for the award, please submit a journal-style manuscript on any topic related to judgment and decision making. review. Submissions that are not properly anonymized will be invalid. There have been two changes in policy. First, a given paper can only be submitted for consideration once. Thus, papers submitted in any prior year may not be submitted this year. Second, you must be a member at the time of submission. You need your member password to submit. If you are not a member, you should join by 17 June so as to be sure to have your password before the deadline. Instructions on becoming a member are here: http://www.sjdm.org/join.html. Submissions will be judged by a committee appointed by the Society. To be considered, submissions must be received by 19 June, 2017 (11:59 PM, Pacific Time). The committee will announce the results to the participants by 10 October 2017. The award will be announced and presented at the annual meeting of the Society for Judgment and Decision Making. The winner must be available to accept the award at the annual meeting and will be invited to give a presentation of their paper. Do not submit a paper if you know that you cannot attend this year’s annual meeting. If the winner cannot obtain full funding from his/her own institution to attend the meeting, an application may be made to the Society for supplemental travel needs. Submission instructions and the submission portal are available here: http://www.sjdm.org/awards/einhorn.html. The Hillel Einhorn new investigator award 2017 was written on May 15, 2017 and filed in SJDM.